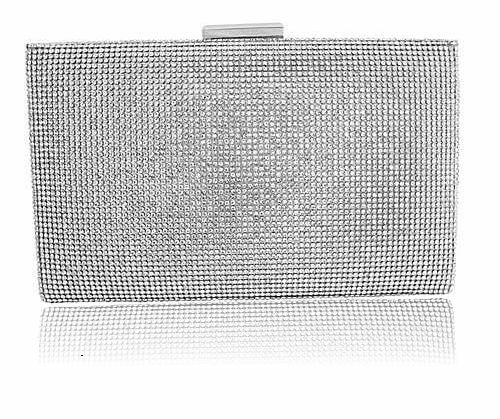 Compact and very stylish, this glittering bag is covered in regimental rows of dazzling crystals. Silver finish.. Complete with inside pocket and chain. Size is approx 16cm x 14cm.